The BW is a beautiful resort, but a little lacking in conveniences and service. We were there with my husbands convention. He coordinated the entire event which generated lots of revenue for the resort. We were originally put in a suite...however after we complained about a water leak and mold in the closet (from the ice machine on the other side of the wall) we were moved to a regular room with no apology for the inconvenience or anything. Park tickets were supposed to be prepaid and handed out to the participants at check in and they messed that up several times so we spent much of the initial day running around trying to get tickets to everyone who needed them. I would definitely prefer the Y&B Club resorts over the BW. Still a convenient location for the Studios or Epcot. We spent January 7-11 in an one bedroom villa at the Boardwalk Villas. We were there to celebrate our anniversary. We arrived late in the afternoon after a long drive up from Key West. Check-in was very smooth and the cast members were extremely helpful and friendly. We were assigned room 1100 on the first floor and at first I was disappointed since I usually prefer upper floor rooms. As things turned out this was a great location. We were able to access the pool, Boardwalk and walkway to Hollywood Studios very easily without having to bother with the elevators which were quite a way from the room. WDW wasn't our only destination and we had a great deal of luggage with us. Bell Services was prompt and efficient in delivering our pile of stuff. The room itself was quite large by Disney standards and the decor was light and pretty. French doors opened out to a small patio with a view of the quiet pool and Community Hall. The kitchen was compact but well stocked with dishes, cutlery and appliances, including a blender. Dishsoap and paper towels were also provided. We were on the Dining Plan and didn't use the kitchen much but it was nice for keeping drinks cold and re-heating leftovers. The washer dryer unit, located in a closet, was quite small but adequate for our needs. A one-use size box of Tide was provided but I found that, due to the small size of the washer, I could stretch it to cover two loads. Unlike the hotel rooms, no drying line is provided over the Jacuzzi tub. Our living area was very light and decorated in a pretty floral motif. The sleeper-sofa was comfortable for sitting. My husband made it out and slept on it one night after I became ill. He said it was quite comfortable and didn't have that uncomfortable sleeper sofa bar across the middle that most do. The bedroom had a king bed with a comfortable mattress and a second television. The bedside lamps can be operated from the switch at the door. The room is separated from the bath by a set of shutters. The bath is divided into two sections. Adjacent to the bedroom is the Jacuzzi and a sink with a large countertop. This became "my" sink since there was plenty of room for my make-up and hair stuff. The toilet and shower are located in a separate room. This room also has a free-standing sink. Both the shower and Jacuzzi were roomy and had excellent water pressure. I wasn't feeling well one night so we canceled our dinner reservations and ordered room service. Room service at the Boardwalk is provided by Spoodles and we were very satisfied with our meal. I ordered dinner for 7:30 and it arrived at 7:30 on the dot. We received a call to let us know it was on the way which I thought was nice. My main complaint would have to be with the casual dining options here. We received mugs with our package but there was no self-service drinks station at the Boardwalk. You could only get your drinks served in a disposable cup yet had to cart your mug to either the Belvue Room or the Boardwalk Bakery for coffee. This ended up being a lot of things to juggle if you wanted to bring drinks back to the room. Of the two options I vastly preferred the Belvue Room. We used our snack credits at breakfast and it was a very pleasant place to sit (either inside or out on the balcony) and have a pastry. All in all we enjoyed our stay at the Boardwalk. The kitchen and Jacuzzi were definite plusses as was the location. For the price, however, I think I prefer either the Polynesian or Beach Club Resorts. I love Stormalong Bay and the theming at the Polynesian. The BoardWalk is great for a few reasons. You are a short walk to EPCOT and a slightly longer walk to MGM, which helps if the boats are taking awhile. The BoardWalk itself is full of restaurants, shops, and entertainment, and its nice to not have to travel for that. The rooms are just as nice (or nicer!) as some of the MK area Deluxes but not as high in cost- this is the main reason why we switched around 6 years ago to the Boardwalk from the Grand Floridian. Still, it does lack the "Disney essence" (or Magic) that perhaps some of the monorail resorts (namely the GF) contain. The theme is genius of the Jersey boardwalk and is well executed down the seagull sounds, but I could use a Mickey Mouse or more to remind me I'm in disney. I also think the monorail is a great and easy mode of transportation compared to the buses, and if you can chop it down to only 2 bus rides to parks (if going from an MK resort) it makes them a little better. If you know you want to stay Deluxe but don't know where: I think its also a question of preferences- my family loves the central location of EPCOT on the WDW grounds, but they also name EPCOT as their favorite park. I have different preferences than my family- I love the MK and would rather stay near there, for the magic and for the daily castle view of course, so I'd rather stay in that area and have access to the monorail. sure EPCOT is central, but the buses, boats, and walking do not make the Boardwalk as ideal as the monorail option in my opinion. My Previous Trips 30 Disney stays since I was born. Have stayed at Polynesian, Contemporary, Grand Floridian, Yacht Club, Boardwalk, All Star Music, Port Orleans Riverside. Most Recent Trip: WDW March 2009 All Star Music and December 2009 BoardWalk, March 2011 Port Orleans Riverside. Next Trip: September 2011 Pop Century and Wilderness Lodge. 2. I'd read some posts that indicated that the Villas side of the BW is looking a bit shabby. I was pleasantly surprised on both counts! The point rental worked like a charm. We saved lots of cash, and the DVC member was totally honest. What a relief! And the villas were so NOT shabby! Ours was in beautiful condition, on the 5th floor, overlooking the lake. We had a lovely view of IllumiNations! We could not have been more pleased with BWV! The pool area is fun, despite the big clown head. DS9 loved the slide, and the proximity to Epcot and DHS is awesome, plus the Boardwalk itself has a variety of shops and restaurants. The theme and atmosphere at BWI/V is upscale, yet comfortable and relaxed. Perhaps the best surprise was the friendliness and kindness shown to us by the CM's there. From the pool attnendants to the concierge and gift shop employees, everyone was helpful and considerate. I would choose BWV again in a heart beat! Jule and 'Chele Run Half the World , Our Last Trip to Disney…for a Really Long Time, Our "Loop Hole" Trip to Disneyland: December 28, 2009 - January 3, 2010 and Alaska!! Are we really doing this? My Previous Trips WDW March 2006 at YC; WDW March 2007 at CSR and DD Hilton; WDW June 2009 at BWV and Marriott's Grande Vista; WDW January 2013 at BWV WDW Half Marathon; DL/DCA January 2010. Last edited by MAKHayes-DisneyDiva; 02-06-2010 at 08:52 PM.. 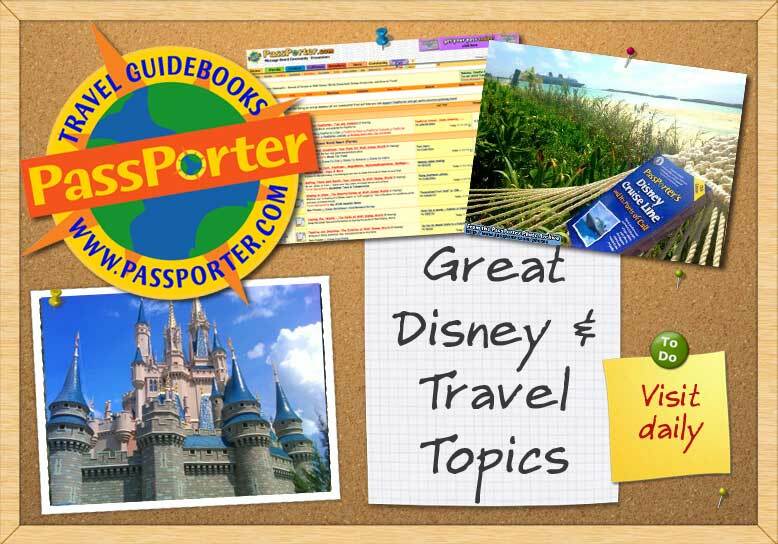 This resort has a great location, being so close to Epcot and Disney Studios! We were able to walk or ride a boat to both of these resorts. The bus transportation is often shared with other Epcot area resorts. This leads to long waits and crowded busses. The room that we had was beautiful! We had a great view from our balcony of a beautiful courtyard and of the garden cottages. This resort is large! The hallways are very long! We only used the quiet pool, which was closer to us than the main pool. There are many restaurant options around this resort. I would definitely say that is a huge plus! One of the things that we didn't care for was how far we had to go to re-fill our mugs. The only place to re-fill your mug is at the Boardwalk Bakery. That is a long way to go from a third floor resort room down to the Boardwalk. The Boardwalk is a beautiful resort with a wonderful location! I stayed 5 nights in Feb. 2010 because I could get a good discount with my AP. SO GLAD I did, because I would definitely return to the BW if I have the moolah in the future. LOCATION and PRICE are the winning attributes here -- when I looked at prices for Beach Club and Yacht Club, it was obvious that BW offered a better deal financially for practically the same distance from Epcot. I liked being just steps away from the Flying Fish Cafe, which is now one of my very fave WDW restaurants. I liked the theming, which was understated but elegant in a fun way. It seems like more of a resort for "grownups" than for kids, but I understand the main pool has a cool water slide -- it was definitely too cold while I was there (and closed for renovation). I would be interested in trying that slide during a hotter visit. I had some bad luck with my first two room assignments, because I was put in noisy areas. But I politely asked for a third room and was given one that suited me to a T.
Just be aware that the lobby is on the SECOND FLOOR, so if you care about hallway noise and are assigned a room on the second floor, be sure to ask that it be a "leg" away from the lobby. Also, there's a 4th-floor Concierge Lounge that can be noisy for people in rooms on the 3rd floor. (There's a cutout in the 3rd floor ceiling that looks right up to that lounge, and children are running/stamping/laughing pretty much all day up there.) But there are a LOT of rooms in quiet areas, if that's important to you -- especially since there's a conference center next to the resort. I ended up happily in room 3320, which was quite a walk from the elevator but VERY QUIET -- I didn't hear a peep from the hallway. I didn't get a chance to try out Kouzzina, a new Greek restaurant just steps from the BW -- but I hope to do that on a future visit. There are several quickie eating places, including the Boardwalk Bakery. Most of all, I loved-loved-LOVED being able to walk/take boat to Epcot. Definitely a great selling point. We stayed at the Boardwalk Villas in April...it was almost everything I expected it to be! The resort is beautiful and SO handy to Epcot and Hollywood Studios! The pool is great, my kids (5 and 8) loved the water slide, and the bakery is fabulous! Now for the downside...there was a cast member at the pool bar who I seriously could have done without...she was SO miserable and actually asked my family for a tip on several occasions, when they were using counter service credits to buy lunch. The lack of a place to refill your cups is a major problem, you can get them filled at the bakery or the pool bar, but they have to do it for you, and it really defeats the purpose because they give you a cup of pop which you then pour into your cup and throw the cup out...talk about bad for the environment. They need a pop fountain that faces out to the public so people can do it themselves. All in all we would stay in this hotel again...no doubt in my mind! Only suggestion...request ground floor, the elevator is not close and rooms on the upper floors and a long hike up the stairs at the end of the day! Shannon ~ Everyone needs a happy place!!!!! My Previous Trips Way too many to count! Worked in Epcot Centre on International Exchange in 1995! We had a fantastic stay at BWI in October 2010. The main purpose of our trip was the Food and Wine Festival, so for that, the location can not be beat! The renovated rooms are very tasteful and comfortable. We opted for a standard view room and the first room we had overlooked the roof peek of the Garden Suites. We later switched rooms and got another standard view, but this time on the top floor facing Epcot -- magic! I do wish there was another view category since there seems to be quite a disparity, at least based on our experience, in what you can get as a standard view. We were fortunate to be close to the elevators but the hallways are very long and winding so it can be a trek depending where your room is. We loved the atmosphere of the Boardwalk. One thing we missed a little bit was a food court, but Boardwalk Bakery met our breakfast needs just fine. I wouldn't hesitate to book another stay at the BWI. I stayed there Nov. 30th thru Dec. 5th, 2010. I was traveling solo. The resort is beautiful. All of the staff had a smile and a good morning for everyone entering the resort. I had done online check-in which turned out to be a mistake. The person helping me couldn't find the KTTW cards which took 25 minutes and then the packet I was given didn't have any maps in it so I had no way to know where I was going. I am hoping it was related to the systems being down because that would have been awful to deal with on a daily basis. In order to find my room, I asked a Housekeeping Cast Member who didn't speak English so she couldn't help. I finally came to realize I was wandering in BWV not BWI. Once I found my way back to the Main Reservation area I asked for directions at Bell Services and they pointed me in the right direction. The room was lovely. It was mostly clean except for an obvious stain on one of the white bedspreads. Normally I would call housekeeping for a replacement but since it was just me this trip, I didn't bother and used the other bed. During my stay housekeeping never noticed the stain on the other bed but did keep the rest of the room in great shape. It was pretty easy to do since it was just me. The pool and pool bar looked very nice. It was too cold for me to hang out there though. The location of the resort is fantastic and can't be beat. Walking to Epcot and DHS was great. I did take the boat to DHS once but it was faster to walk. The bus service to AK and MK was ok and the bus did stop at the Swan/Dolphin before heading to the parks but I knew about that so it didn't bother me. Concierge wasn't able to tell me where the nearest Walmart was when I asked (my camera broke and I needed a new one fast) which surprised me. I wished I hadn't bothered standing in the 20 minute line to ask because I caught a taxi and the driver knew exactly where the nearest one was. The Boardwalk area was very pretty but it was too cold to hang out there much in the evening. I did watch one of the entertainers and he was good. He was also the only one I saw there every evening. The stores were fine and carried the basics plus the normal park merchandise. I was able to pick up my Boardwalk pin for my resorts I’ve stayed at collection. The person getting the bags that were sent to the resort was extremely slow. It took him 30 minutes from the time I gave him my receipt until I saw him again with my package. I timed it to see how long it would take since there was a line of people wanting to pick up their merchandise. I had the rest of my packages either shipped directly home or sent to the front of the park for me to pick up later rather than deal with the resort package pickup after that. Wyland Gallery had lots of great items and it was nice to browse in there. I also stopped in Seashore Sweets every day and got myself a snack to take to the parks with me the next day. I only ate at the Boardwalk Bakery. I was disappointed with their breakfast selection and ended up eating a banana, and bagel with cream cheese for breakfast every morning. I tried their egg and cheese croissant and didn't like it. I didn't think I would miss having a CS at the resort but at breakfast time, I definitely did. I really like having a quick breakfast of bacon and a mickey waffle at WDW. I also had several chocolate éclairs from the Bakery. Those were delicious. Overall, I thought the BWI is a nice resort with a great location. The lack of quick breakfast location bothered me more than I thought it would so I don’t know that I would stay at BWI again especially with other choices so close by. Our most recent stay was June 16-19, 2011 in the Villas. We are DVC members and were staying on points. We have stayed at the Inn side several times and were also in the Villas in March of this year. We love this resort and the theming is so much fun especially at night with all the activities going on at the boardwalk. It's such an easy walk over to EPCOT and DHS is a short boat ride away. We have walked to DHS in the past (before I had knee surgery) and it's not a bad walk when it's not too hot out. Lots of dining options since the Beach Club/Yacht Club are just across the water and only a 5 minute boat ride away. And with the World Showcase at EPCOT just 10 minutes away, your dining options increase even more. The only thing that is lacking is an actual counter service location that most of the other resorts have. The only downside for us in our trips to the Villas has been the distance from the elevator to our room. The only set of elevators are just off the lobby and so it can be quite a walk to your room. There are stairwells located throughout which help but if mobility issues are a factor, be sure to ask for a room near the lobby. We normally have a car when we are staying here but since we were there for a long weekend on our most recent trip, we decided to just rely on Disney transportation. EPCOT and DHS are really convenient and not an issue. We didn't go to AK so not sure about using the transportation for that park. Bus transportation from the MK was convenient and easy to use. We used the monorail to get to the MK. Our only problem was getting from DTD back to the resort on a Saturday afternoon. If you board the bus at the Marketplace in DTD, you will not be getting off the bus until the 7th stop! The bus will stop at the Pleasure Island/Westside bus stop at DTD, Typhoon Lagoon, the Swan, the Dolphin, the Yacht Club, the Beach Club and finally the Boardwalk. In the evenings, you will have one less stop since Typhoon Lagoon will be closed. Overall, I would highly recommend the Boardwalk Inn and Villas and we will definitely be back in the near future! We are booked for 6 nights at the Boardwalk in January. It will be our first time to stay there and we are truly looking forward to it. One of the reasons I chose it was because we are doing the 1/2 marathon and it would be easy to get back to the resort after the race. Any special tips or room to ask for @ check-in? I also very much enjoy going to the ESPN Club and I end up eating there at least 7 times during one trip because I think their food is that good and being a Hockey fan I ejoy their sports atmosphere. In my opinion their Luna Park Pool with the Clown slide is great and one of the best themed pools I ever seen. Finally I can't say enough how great it is having the walkways to both Epcot and Hollywood Studios, which makes visiting those parks so easy and with my Annual Pass it's even better. Last edited by Boardwalk Inn Fan 4 Ever; 04-16-2012 at 09:56 PM.. This was our first stay at the Boardwalk and I was so looking forward to spending a couple of days there. Check in was prompt and efficient, and our room was ready when we checked in at 2 PM. The room was decorated lovely, beds were comfortable, and there was even a towel bunny on a shelf. The location of Boardwalk in excellent if you're spending time in Epcot and the Studios, and we did take the bus to the Magic Kingdom one day and it was efficient. Now the negative --- Although the Wifi in the room was free, it was intermittent, on again, off again and very frustrating when you are trying to finish something and all of a sudden there is "no signal - guest wireless." One of the negatives is that you have to take two different elevators to get from 4th Floor to the Boardwalk itself. You had to take the elevator from the 4th Fl. to 2nd FL (main lobby) and then take a different elevator from the 2nd Fl to the Boardwalk (or use the stairs which is not an option for me) On our second day, we went to Epcot and returned to the room around 3PM and our room hadn't been cleaned. I called Housekeeping so see if we could be next on the list to have housekeeping. She said she would have to see where the housekeeper was and what she had to do. We were staying Club Level and I would have thought service would have been a little better, however I do not blame the housekeeper as after looking around the floor, it seems like there were only 3 housekeepers taking care of I don't know, maybe 70 or 80 rooms in that wing. This is Disney's fault, trying to cut costs. My first visit to Disney World was in 1984 and as the years go by, you can see the level of service going down as the prices go up. Meanwhile, as the housekeepers were breaking their backs to clean more rooms than I believe should be expected, the concierge lounge had 4 people standing around --- and I mean standing around. Oh of course, they clear the tables, put out the drinks, snacks, etc and will answer questions, but Disney 4 people for one small lounge? Speaking of the club lounge, service was very good. Of course, with 4 people doing what 2 could handle, everything should be spotless, and replenished as needed and it was, cannot fault that. How I determine whether a hotel will get 5 or 4 stars, is if I can answer the question "would I stay here again?" Unfortunately with the Boardwalk, the answer is No. Next time I stay at an Epcot resort, I will return to the Beach Club. Boardwalk Villas may be my favorite! We stayed at BWV on rented points in January 2013. We had a 2 bedroom villa with a view of the pool. The villa was clean and I enjoyed the relaxed theming. Not in your face Disney but lots of hidden mickeys and pictures. Loved the wicker seating and being right on the boardwalk. Loved being able to walk to DHS and Epcot. We saved so much time being able to walk to two parks. The buses to DTD, MK and AK were fine, no waits were too long. The Boardwalk Bakery was closed for expansion while we were there so that was the only downside. Hopefully after the expansion it will have more options like a quick service location. We have stayed at AKL, Pop, CSR, and off site once. I always thought we would keep trying new resorts but the location of BWV makes it highly desirable to me. I have been looking at the resorts, thinking where will I stay next time and I keep coming back to BWV. My friends & I are staying at Boardwalk in December. My only concern is the sofa bed... has anyone ever slept on one? Since there are 4 of us it will be 2 on the bed & 2 on the sofa bed. Since using enough points to get a 2 bedroom just to avoid a sofa bed isn't an option, I've got my fingers crossed!